Microtubule plus-ends act as physical signaling hubs to activate RhoA during cytokinesis. Verma V, Maresca TJ. ELife, 8, (2019). Cell Division: Here Comes the Kinesin Cavalry. Audett MR, Maresca TJ. Curr Biol., 28(17), (2018). Creation and testing of a new, local microtubule-disruption tool based on the microtubule-severing enzyme, katanin p60. Advani S, Maresca TJ, Ross JL. Cytoskeleton., 75(12), (2018). NOD is a plus end-directed motor that binds EB1 via a new microtubule tip localization sequence. Ye AA, Verma V, Maresca TJ. 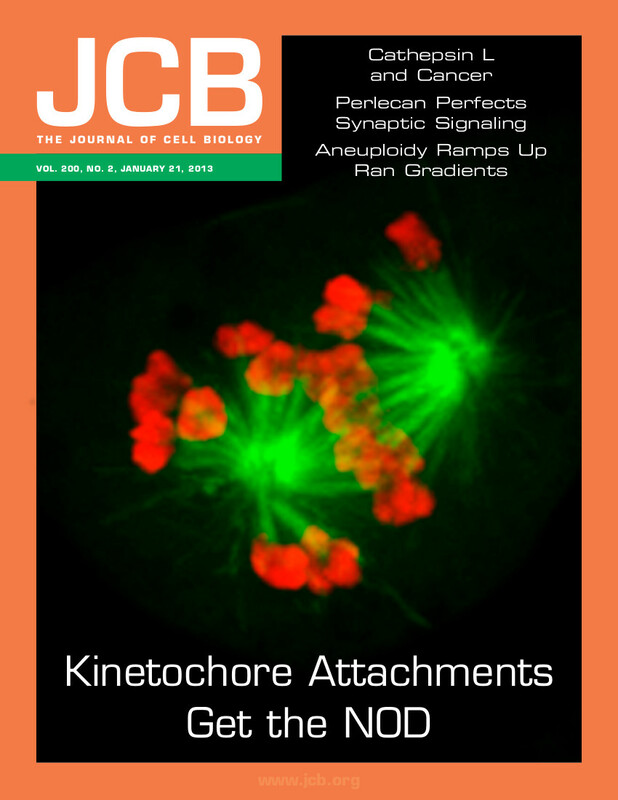 J Cell Biol., 217(9), (2018). Ye AA, Maresca TJ. Methods Cell Biol., 144, (2018). Chromosome biorientation produces hundreds of piconewtons at a metazoan kinetochore. Ye AA, Cane S, Maresca TJ. Nature Communications, 7. Aurora A Kinase Amplifies a Midzone Phosphorylation Gradient to Promote High-Fidelity Cytokinesis. Ye AA, Torabi J, Maresca TJ. The Biological Bulletin, 231(1), 61-72 (2016). Generating a "humanized" Drosophila S2 cell line that is sensitive to pharmacological inhibition of kinesin-5. Ye AA, Maresca TJ. Journal of Visualized Experiments, (107), e53594, (2016). It's all relative: Centromere- versus pole-based error correction. Ye AA, Maresca TJ. Cell Cycle 14(24), 3777-3778 (2015). Polar Ejection Forces Promote the Conversion from Lateral to End-on Kinetochore-Microtubule Attachments on Mono-oriented Chromosomes. Drpic D, Pereira AJ, Barisic M, Maresca TJ, Maiato H. Cell Reports 13(3), 4660-468 (2015). Aurora A Kinase Contributes to a Pole-Based Error Correction Pathway. Ye AA, Deretic J, Hoel CM, Hinman AW, Cimini D, Welburn JP, Maresca TJ. Current Biology 25(14), 1842-1851 (2015). Cane, S., Maresca, TJ. Current Biology 24(11), R529-R532 (2014). Chromosome segregation: not to put too fine a point (centromere) on it. Maresca, TJ. Current Biology 23(19), R875-R878 (2013). Development of a Drosophila cell-based error correction assay. Salemi, JD., McGilvray, PT., Maresca, TJ. 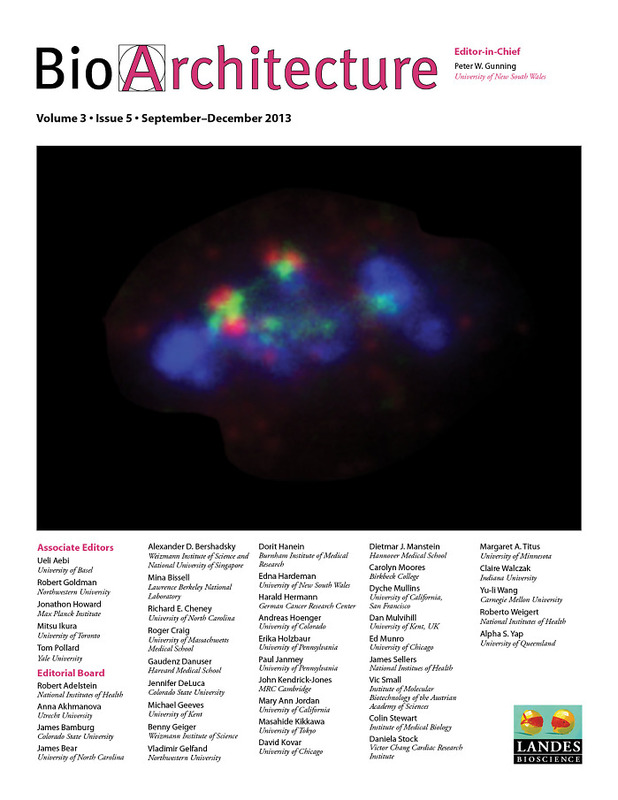 Frontiers in Oncology 3, 187 (2013). Cane, S., McGilvray, PT., Maresca, TJ. Bioarchitecture 3(3), 69-76 (2013). Ye, AA., Maresca, TJ. Current Biology 23(3), R122-R124 (2013). Elevated polar ejection forces stabilize kinetochore-microtubule attachments. Cane, S., Ye, AA., Luks-Morgan, SJ., Maresca, TJ. 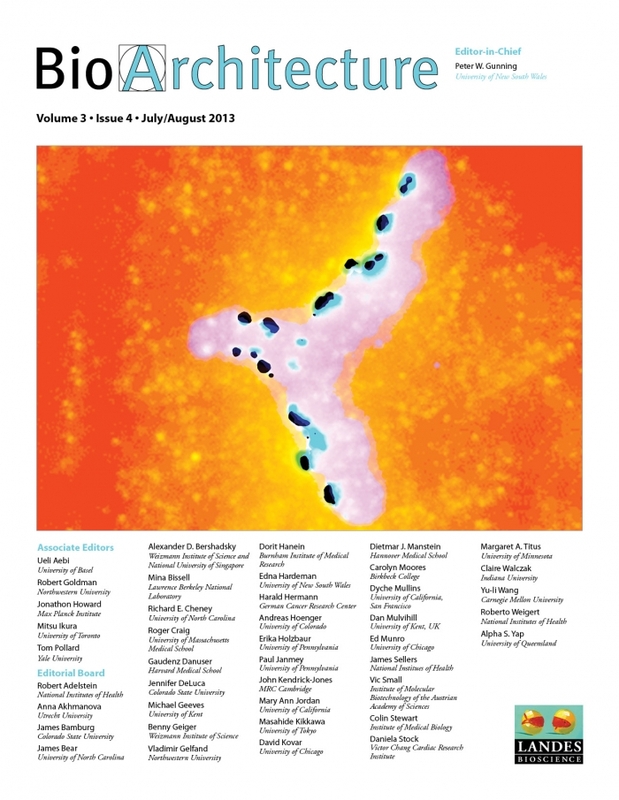 The Journal of Cell Biology 200(2), 203-218 (2013). Cane, S., Maresca, TJ. The Journal of Cell Biology 198(4), 477-479 (2012). Cell division: aurora B illuminates a checkpoint pathway. Maresca, TJ. Current Biology 21(14), R557-R559 (2011). Chromosome segregation: a kinetochore missing link is found. Maresca, TJ. Current Biology 21(7), R261-R263 (2011). Welcome to a new kind of tension: translating kinetochore mechanics into a wait-anaphase signal. Maresca, TJ., Salmon, ED. Journal of Cell Science 123(6), 825-835 (2010). Fast microtubule dynamics in meiotic spindles measured by single molecule imaging: evidence that the spindle environment does not stabilize microtubules. Needleman, DJ., Groen, A., Ohi, R., Maresca, T., Mirny, L., Mitchison, T. Molecular Biology of the Cell 21(2), 323-333 (2010). Spindle assembly in the absence of a RanGTP gradient requires localized CPC activity. Maresca, TJ., Groen, AC., Gatlin, JC., Ohi, R., Mitchison, TJ., Salmon, ED. Current Biology 19(14), 1210-1215 (2009). Functional overlap of microtubule assembly factors in chromatin-promoted spindle assembly. Groen, AC., Maresca, TJ., Gatlin, JC., Salmon, ED., Mitchison, TJ. Molecular Biology of the Cell 20(11), 2766-2773 (2009). Spindle fusion requires dynein-mediated sliding of oppositely oriented microtubules. Gatlin, JC., Matov, A., Groen, AC., Needleman, DJ., Maresca, TJ., Danuser, G., Mitchison, TJ., Salmon, ED. Current Biology 19(4), 287-296 (2009). Intrakinetochore stretch is associated with changes in kinetochore phosphorylation and spindle assembly checkpoint activity. Maresca, TJ., Salmon, ED. The Journal of Cell Biology 184(3), 373-381 (2009). Xenopus tropicalis egg extracts provide insight into scaling of the mitotic spindle. Brown, KS., Blower, MD., Maresca, TJ., Grammer, TC., Harland, RM., Heald, R. The Journal of Cell Biology 176(6), 765-770 (2007). Micromanipulation studies of chromatin fibers in Xenopus egg extracts reveal ATP-dependent chromatin assembly dynamics. Yan, J., Maresca, TJ., Skoko, D., Adams, CD., Xiao, B., Christensen, MO., Heald, R., Marko, JF. Molecular Biology of the Cell 18(2), 464-474 (2007). Methods for studying spindle assembly and chromosome condensation in Xenopus egg extracts. Maresca, TJ., Heald, R. Methods of Molecular Biology 322, 459-474 (2006). The long and the short of it: linker histone H1 is required for metaphase chromosome compaction. Maresca, TJ., Heald, R. Cell Cycle 5(6), 589-591 (2006). Xnf7 contributes to spindle integrity through its microtubule-bundling activity. Maresca, TJ., Niederstrasser, H., Weis, K., Heald, R. Current Biology 15(19), 1755-1761 (2005). Chromosome congression: another fine mesh we've gotten into. Maresca, TJ., Heald, R. Developmental Cell 9(3), 314-315 (2005). Histone H1 is essential for mitotic chromosome architecture and segregation in Xenopus laevis egg extracts. Maresca, TJ., Freedman, BS., Heald, R. The Journal of Cell Biology 169(6), 859-869 (2005). The condensin complex is required for proper spindle assembly and chromosome segregation in Xenopus egg extracts. Wignall, SM., Deehan, R., Maresca, TJ., Heald, R. The Journal of Cell Biology 161(6), 1041-1051 (2003). Importin beta is a mitotic target of the small GTPase Ran in spindle assembly. Nachury, MV., Maresca, TJ., Salmon, WC., Waterman-Storer, CM., Heald, R., Weis, K. Cell 104(1), 95-106 (2001). This page is hosted by The University of Massachusetts Biology Department.